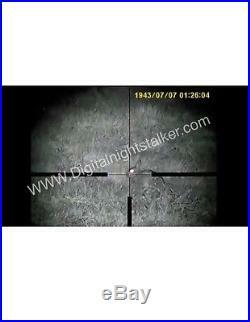 NIGHT VISION ADD ON DEVICE FROM D. Affordable high quality night vision. Specifically developed to work on your MTC Viper connect scope all self contained WiFi version also available on this model. Dont settle for second best they are cheap for a reason. White centre polished tube as these reflect more light than a black tube = more range and better image quality, also a new even easier mounting design just initially set the two lower grub screws then use the double top thumb screws to securely fasten to your scope easy in the field. This device fits on the your existing normal day scope turning it into a digital night vision scope with no adjustment needed to your scope zero as it uses your scope you also have magnification basically how you use your scope in the day you can now use it in pitch black darkness at night using this kit, you will need to get your own IR light a t20ir or t38ir are great for ratting/rabbiting or a bigger better IR like a t50ir or even bigger the t67 with AS pill will give more light over further field so better for rim/center/fac applications with a shooting target range of approx 300yds and extensive spotting range there is more better expensive IR torches out there like the T75ir or the night master 800 basically how far the IR will shine the night vision will see the new T version with AS type LEDs are very good and can achieve ranges of 300yds with my kits, you must use a decent high power IR to get out to 250-300yds so please don't expect that range from a t38. Due to the design of my kits it maximises light to produce a better cleaner further image and the highest spec cameras and screens around this is an investment and truly leaves the big branded names trying to figure where they went wrong but please don't just take my word for it please feel free to scan over my feedback there's not just a few but hundreds of very happy customers from all four corners of the world! I have built hundreds over the last few years so I have come to know what's works. "Super ebayer, many thanks brilliant bit of kit well worth it (garyrc362)". "Excellent bit of kit (kitlcv8)". THIS UNIT FITS OVER YOUR EXISTING DAY SCOPE THUS TURNING YOUR SCOPE INTO A DIGITAL NIGHT VISION SCOPE WITH NO NEED TO ADJUST THE ZERO OF YOUR SCOPE, no need for silly packers spacers or bits of plastic that will get dropped and lost forever in the dark these Kits simply just clamp down on your scope using the strong anti-scratch thumb screws for a firm solid hold. AS YOU HAVE PROBABLY SEEN THERE ARE MORE AND MORE OF THESE DIGITAL ADD ON NIGHT VISION GADGETS EVERYDAY GOING AROUND SOME SEEM TO ME A BIT AKWARD AND FIDDLY TO SET UP NOT TO MENTION BULKY WITH WIRES TRAILING AROUND AND BATTERY'S VELCRO'D TO YOUR GUN MAKING IT HEAVY AND UGLY TO LOOK AT OR CHEAP NASTY AA BATTERY KITS THAT MAKE YOU FEEL LIKE YOUR CARRYING A 3x2 AROUNR WITH YOU, AND DON'T SEEM TO BE OF A VERY GOOD BUILD QUALITY SO I HAVE DECIDED TO BUILD MY OWN. "Cant believe how clear it is compared to Nite Site and how well its made (floyd9865)". THESE ARE BUILT FROM HIGH QUALITY COMPONENTS BY MY SELF TO A HIGH QUALITY STANDARD BELOW ARE THE SPECS. I have been building these for over 3years with constant improvements and upgrades so as you imagine I know what works best and what doesn't. CAMERA: CUSTOM HOUSED HD E700 TVL very low lux FITTED WITH A 12MM or 16MM LENS please ask for 16mm when ordering. So as some of you may be aware of the one that caught fire this can't happen with my set ups as they have built in short circuit protection that kills the power incase of a fault. SCREEN: 4.3 COLOUR TFT SWIVEL DETACHABLE MONITOR WITH A SIMPLE PLUG THAT PLUGS INTO THE NV DEVICE the smaller the screen the less glare you get from it that's why I use a 4.3 the screen also has brightness/contrast/colour adjustment. BOX HOUSING: ultra light weight ABS BLACK PLASTIC WITH 4 RETAINING SCREWS THAT IS BOLTED (NOT GLUED) TO THE TUBE MOUNT THIS MAKING IT POSSIBLE TO REMOVE THE TUBE (I have pre focused these units so they are ready to go)ALSO THE DC CHARGING JACK IS MOUNTED TO THE BOX TO CHARGE THE BUILT IN LI-ION BATTERY (this can also be used to top up shoot time with an external power bank battery for if your away shooting for the weekend with no power supply). POWER SWITCH IS IS A ROUND ROCKER WITH POWER ON INDICATOR (LED TYPE) colours may vary. SCOPE MOUNT: 3M CARBON FIBRE WRAPPED WITH 3 RUBBER "O" RINGS FOR EXTRA GRIP ROUND A CENTRE POLISHED PRECISION MACHINED FROM SOLID ENGINEERING BAR (not a car radiator silicone hose with cheap nasty hose clips or flimsy 3d printed plastic that is brittle as it is not formed properly it was designed for model making and prototypes or as some I have seen sink waste pipe with packers and spacers and all sorts of bit of tat that will let you down or get lost when out and about). 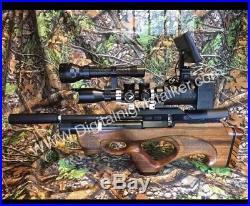 I HAVE MACHINED THE BAR TO SLIDE OVER THE BACK OF YOUR SCOPE WITH 2 NYLON GRUB SCREWS AND A TWIN TOP THUMB SCREW SET UP THAT TIGHTEN TO YOUR SCOPE WITHOUT DAMAGING OR SCRATCHING YOUR VALUABLE SCOPE MAKING IT A SNUG TIGHT SOLID SEALED FIT SO ABSOLUTELY NO LIGHT CAN GET BETWEEN THE CAMERA AND SCOPE LENS ELIMINATING GLARE AND SHADOWS. ALSO FITTED TO THE UNDERSIDE OF THE NV IS A MUCH NEEDED AV VIDEO OUT TO ENABLE YOU TO PLUG IN A RECORDER/DVR SO YOU CAN RECORD AND PLAY BACK YOUR NIGHTS SHOOTING SEEING EVERYTHING THAT YOU SAW DOWN THE SCOPE, VERY HELPFUL FOR THEM ACTION REPLY UNBELIEVABLY GOOD SHOTS OR TO IMPROVE ON YOUR SHOOTING TECHNIQUES OR JUST TO SHOW OFF HA HA HA AND BY USING THE CHARGING PORT YOU CAN ALSO POWER YOUR DVR/RECORDER FROM THE THIS NIGHT VISION UNIT SO NO NEED TO CARRY EXTRA BATTERIES AROUND IN THE FIELD. 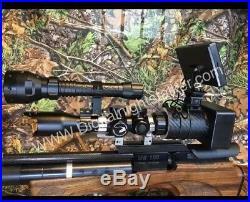 SO ADD ALL THIS TOGETHER AND YOU HAVE A SERIOUS BIT OF KIT THAT CAN BE FITTED IN SECONDS AND NO ADDITIONAL ZEROING OF THE SCOPE IS NEEDED AND AS THE PICS SHOW IN THE FIELD THEY WERE TAKEN IN TOTAL PITCH BLACK. AS I SAID I BUILD THESE UNITS SO IF YOU HAVE ANY SPECIAL REQUIREMENTS TO A CUSTOM BUILD TO SUIT YOU OR THE GUN PLEASE GET IN TOUCH AND WE CAN HAVE A CHAT OVER HOW TO MEET YOUR NEEDS. Below are just afew of replys reviews or comments I have received back from buyers... "Hi received the nv today looks a very well made and professional item thanks not got an illuminator yet but looking forward to testing it on some rats ". Hello mate sorry to bother you just wanted to say thanks for my nv kit works perfect cant believe how clear it is compared to the nite site kit and how well made it is!! Its that good my mate is gonna order one from you, tonight the first night ive got to use it well happy with it. Just thought I would thank you for supplying me with the night sight and ir trace light the wife loves it and is also a good match to our daystate rifle many thanks. A great piece of kit. Shame the rats don't think so he he he. All the best on making more thanks again. First impressions of this diy nv are excellent. 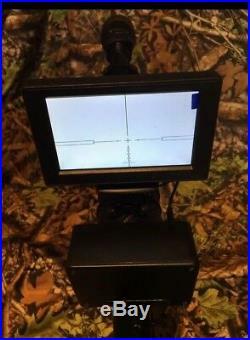 With a well finished very light compact housing containing the camera and lion battery with external connections for the tft screen the charging port and a dvr option. This secures well on to the scope with the nylon grub screws without scratching the scope what so ever. I Just wanted to drop you a note to say that your product is absolutely fantastic and I gave it a thoroughly good test in a rat infested granary last night. The kit was a dream to use, incredibly easy to mount/unmount and stayed solidly in place throughout the shoot. Not only is it functional, the craftsmanship of the add-on device are to a very professional standard and the farmer who gives me permission to shoot was more than impressed/jealous! Really glad I went with your product instead of a'home brew kit' - I definitely got more than I paid for. As described with a t50ir light getting in excess of 150yds good picture. Sound bloke to deal with , very helpful with after sales. 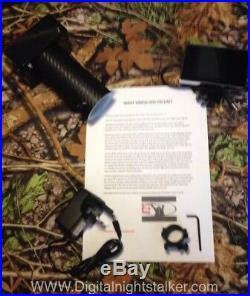 Please note no IR is included in this listing so you will have to get one to use digital night vision. Please note- when you place your order please confirm what size your scope tube is so I can send the correct sized monitor mount it will be either 25mm or 30mm diameter (check measurement nr the scope mount rings). A standard 25mm will be sent unless otherwise stated. See it in action HERE. 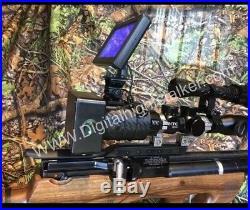 Please check out my hand held spotter in my other items for sale, for the ultimate night shooting set up. ANY QUESTIONS PLEASE ASK AWAY AND I WILL DO MY BEST TO ANSWER THEM. THANKS FOR LOOKING AND HAPPY SHOOTING. The item "Night vision Add On MTC Viper Connect Scope Kit" is in sale since Tuesday, March 12, 2019. 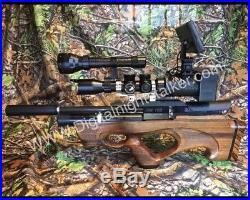 This item is in the category "Sporting Goods\Hunting\Night Vision". 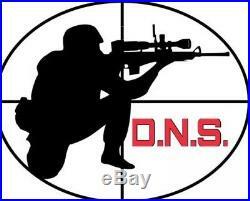 The seller is "digital-night-stalker" and is located in stoke-on-trent, Staffordshire. This item can be shipped worldwide.